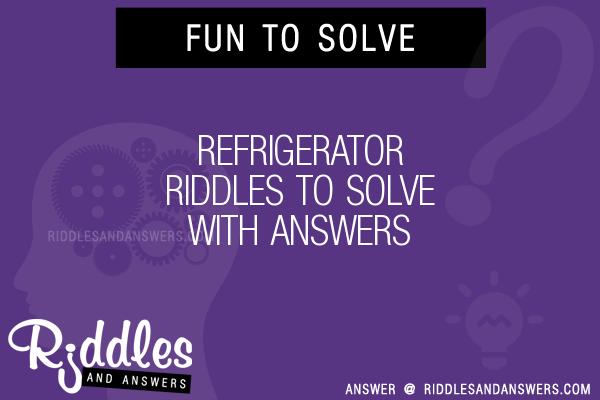 Here we've provide a compiled a list of the best refrigerator puzzles and riddles to solve we could find. The results compiled are acquired by taking your search "refrigerator" and breaking it down to search through our database for relevant content. What stays hot even if you put it in a refrigerator? I open and close and food I divulge. 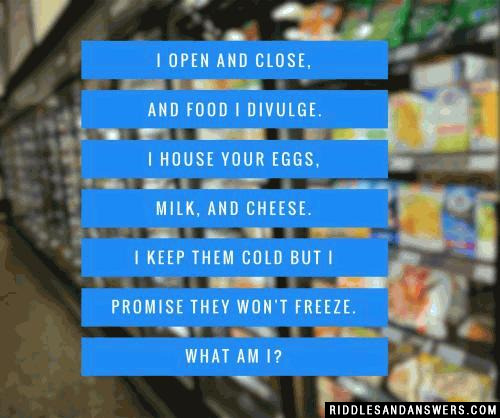 I house your eggs, milk, and cheese. I keep them cold but I promise they won't freeze. What am I? Time to chill, time to think, please go here for a cool cool drink. When you want something tasty, I will light up your way. You open my doors to ransack my stash. What's always running but has no legs? A clue to find where you keep things cold. Where to go next is what you'll be told.